There are SO many beautiful neutral picks for the home included in the #NSALE, so I wanted to round up my top ten for you! First things first - my favorite diffuser EVER comes in a duo this year + my go-to candles are available in the cutest set for an amazing price! (Even after the candle has burned, you can use the glass as a vase, bathroom storage for q-tips, or even to hold matches!) I also really love this gray + jute woven rug. I just purchased it for our back door in the new house since it won't show dirt too much. Also, these white bowls come in handy for everything. I purchased two sets - I literally use them constantly! With moving in right around the corner, I have home decor on the brain like crazy and I'm obsessed with all of these neutrals! Thanks so much for stopping by and cheers to the weekend! x. Love the frame and the glasses! Great picks! I'm so excited for the Diptyque candle set! Great picks! 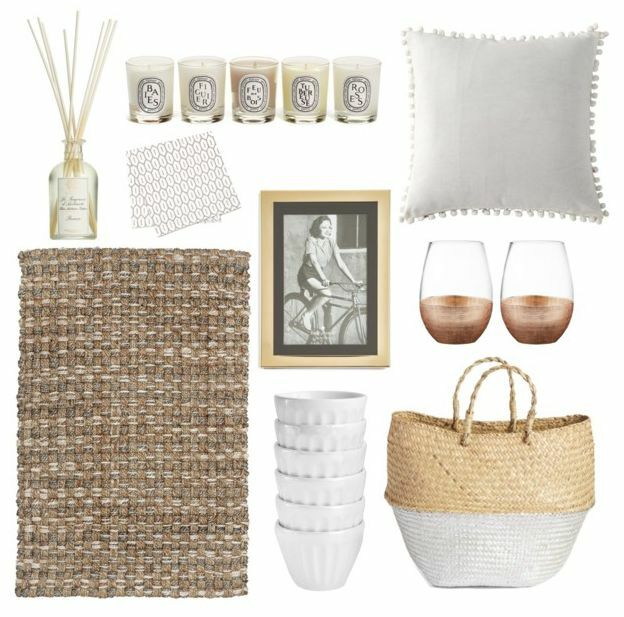 Love all the neutral home decor!! My fave! !